Be prepared for a wild ride as you descend into "the hole" with an elite Special Forces Long Range Reconnaissance Patrol deep behind enemy lines, in Raymond Morris' The Ether Zone. Raymond Morris' "The Ether Zone: US Army Special Forces Detachment B-52, Project Delta" brings to light the extraordinary story of this elite and highly-classified Special Forces unit operating from 1964 to 1970 during the Vietnam War. The unit, a precursor to today's famed Delta Force, remained classified and little-known until its existence was declassified in 1996. Even then, the former members of this unit did not fully support allowing their highly-decorated unit (the second most decorated of its size during the entire Vietnam conflict) to come out into the open. These men had nothing to hide--quite the contrary--they had much of which they were justifiably proud. Instead, these "Quiet Professionals" preferred to keep their small unit's exploits out of the public eye... to remain "below the radar" where they were most comfortable operating. Overcoming this initial reluctance of Delta members to tell their story, Morris does a masterful job of combining his research of the organizational history and structure of Delta with the vivid reminiscences of its soldiers. Drawing primarily from interviews, Morris weaves together a compelling story. 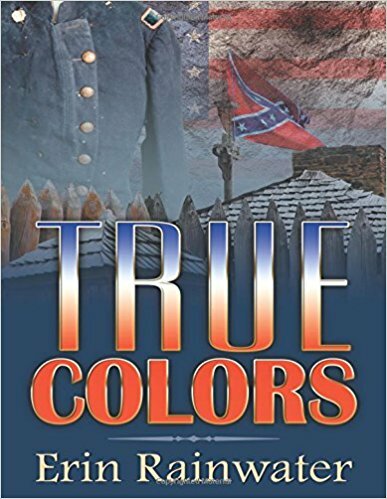 Broken down into short and highly-readable chapters, he provides a gripping series of stories from a close-knit group of warriors not inclined to highlight their personal exploits. Instead, they relate the details of others' bravery and skill. It is their fellow soldiers who are the heroes, not those being interviewed. Morris deftly aggregates various harrowing stores of combat involving small recon teams dropped off deep in enemy territory and far removed from friendly support. 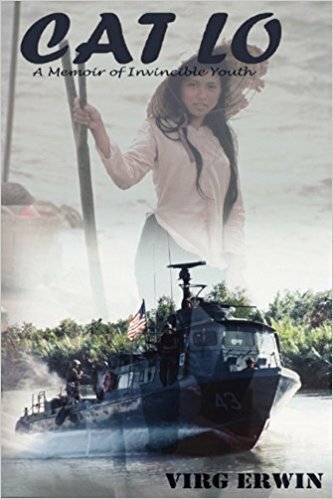 The reader will feel like he or she has been transported along with these brave men, trying to stay one step ahead of crack North Vietnamese and Vietcong units in hot pursuit. The result: unlike some books that hit you, Morris' crashes into you. This book exudes authenticity. 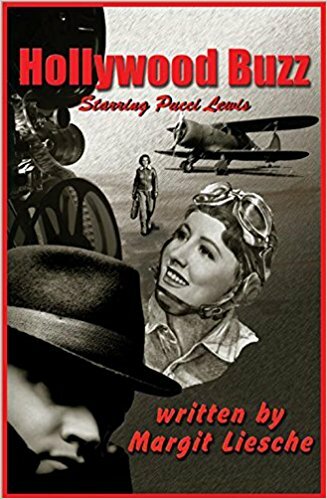 Not only are combat scenes described in heart-pounding detail, the reader will also appreciate the special sense of humor of Delta's soldiers. In addition to coping with extraordinarily demanding combat operations; they must also handle inclement weather, leeches and venomous snakes. To deal with the incredible stress, Delta members rely on practical jokes, pranks and "serious partying" at the Delta Club during their short breaks between their assignments "in the hole." Ether Zone will also appeal to the serious student of the military and particularly of the SpecOps community. Morris provides detailed lists of personnel, units and important dates in the Delta Detachment's history. Hence, Ether Zone is a veritable unit history and a valuable resource. Morris, mirroring the veterans of Delta, also reserves special respect for the various units (US and Vietnamese) who were a part of, or who regularly participated in, Delta's combat operations. The Nungs, Montagnards, and especially the 81st Vietnam Ranger Battalion are given a prominent place in the narrative. Morris also points out the exceedingly close relationship between Delta Detachment's members and the aviation units upon whom they had to rely (even in the hottest of LZs) for insertion and extraction. The Ether Zone is well-written and thoroughly enjoyable. 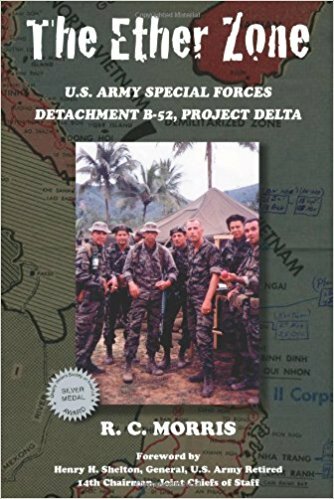 Project Delta and its clandestine special reconnaissance operations proved to be one of the most successful Special Operation units of the Vietnam War, yet few Americans have ever heard of them, or know that this unit's operational model was precursor for the renowned Delta Force. This small unit of less than 100 U.S. Army Special Forces amassed a record for bravery that rivals few. For the first time, the Project Delta "Quiet Professionals" finally share their amazing story.Highly trained as experts in special reconnaissance techniques and procedures, the covert Project Delta missions were accomplished through recon team insertions into enemy territory. As the primary sources of intelligence collection for Project Delta, these tough and tenacious recon men recount hair-raising adventures from personal recollections. "The Ether Zone" is certain to appeal to those with an interest in Special Operations Group, the Vietnam War, special operations and military history in general. Dr. Raymond Monsour Scurfield is a professor in the School of Social Work at the University of Southern Mississippi Gulf Coast. He is a Vietnam veteran and worked for the Department of Veterans Affairs for 25 years and has directed PTSD mental health programs in a number of locations. He is recognized nationally and internationally for his expertise in PTSD in both combat veterans and disaster survivors. This expertise comes from his many years of experience in working with others in the mental health profession and his own personal experience of being a veteran who experienced war as a psychiatric social work officer. 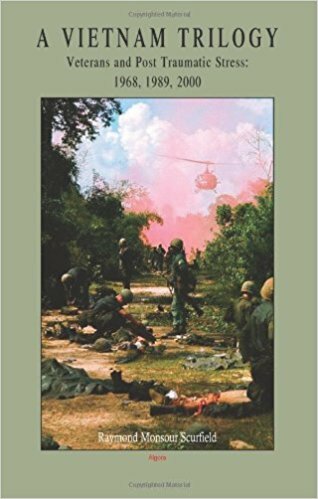 By reading the synopsis of each book, one can discover how Dr. Raymond Monsour Scurfield takes readers on a journey from his first days in Vietnam until the very present, going back with him on several trips with other veterans, and then the questions need to be addressed in how the past has affected the way the veterans of today's wars are being treated. Dr. Scurfield shares his personal journey as well as sharing quotes and experiences from many other veterans. His personal sharing allows us to see deeply into his thoughts and how his strategies and innovative therapies for treating combat veterans can be used in the field of mental health. These books can open doors for active duty military members and veterans, as well as offer guidance to their families and other community members. Personally, I wondered what impact this series of books would have on me. I am not a veteran, I have a son who served eight years in the Marines, but is a non-combat veteran. So... should others like me take the time to read these books? They are not what I would call an "easy read" whatsoever, but I would call them an "essential read," for all of us have been impacted by war and know people that are struggling with PTSD issues. For me, having the input of "other voices" beyond Dr. Raymond Scurfiel'ds allowed me to hear the stories from more than one voice and helped me to "experience" through them, the impact that war had on each and every one of them. Dr. Scurfield is an expert whose voice is being heard around the world. Anyone who is experiencing PTSD or knows someone struggling with PTSD would be wise in reading these books. They would be a wonderful resource for mental health professionals. We may not have learned enough from Vietnam, but Dr. Scurfield brings us the hope that we need for moving into our future. A Vietnam Trilogy is about a side of war that for decades pro-military and pro-defense advocates have systematically suppressed, minimized and denigrated as being falsely exaggerated the indelible human cost of war on its participants that can and does persist for decades. The 3.14 million Vietnam war-zone veterans and 800,000 Vietnam-theater veterans suffering full or partial post-traumatic stress syndrome, and their families will find it invaluable. Volume 2, Healing Journeys, focuses on three Vietnam Vets making a return trip accompanying 16 students on a Study Abroad history course. 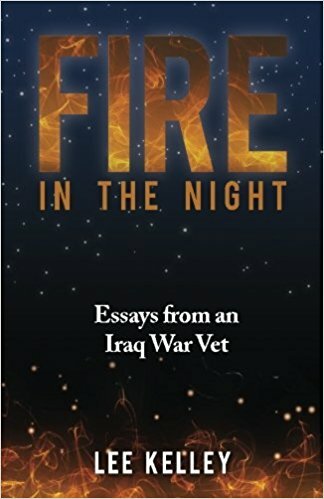 Especially in the post 9/11, post-Iraq world, this trilogy is important reading for academics and mental health professionals including graduate and undergrad students in history, psychology, social work and religion, and professionals in psychiatry, clinical nursing, counseling, and religion, and academic specialists interested in study-abroad programs. 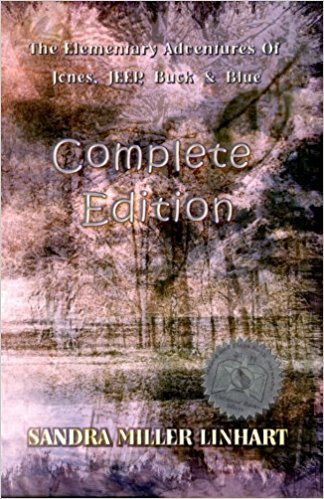 Through the wrenching stories of veterans and the author s own understanding as a mental health professional, Scurfield describes his and his comrades experiences during the war; then he describes the healing process fostered by innovative return trips he has led to peace-time Vietnam in 1989 and, in conjunction with a university history program, in 2000, described in this volume. A Vietnam Trilogy offers veterans and their families a vicarious "healing journey" by relating the experiences of those who participated in these therapeutic efforts, and offers recommendations to veterans and those who wish to help them. The therapy breakthroughs for veterans with Post Traumatic Stress Disorder are now the model for innovative programs across America; and they will be the foundation for programs to help today s veterans of the Iraq War. Volume 1, A Vietnam Trilogy. Veterans and Post-Traumatic Stress, 1968, 1989 and 2000 (Algora 2004), described the healing processes of hundreds of veterans from Vietnam and earlier wars up until 1990, when the author co-led a group of veterans on a therapeutic trip back to Vietnam to face their demons.